What is the process for becoming a Crisis Counselor? Step 4: Take your first shift and start supporting people in crisis! The opportunity to learn and develop your skills in active listening, collaborative problem solving, and crisis management all from the comfort of your home (these skills can help in your personal relationships too!). Many of our Crisis Counselors also highlight Training and their volunteer experience on their resumes and LinkedIn profiles. At night! Texters tend to be in crisis more often at night, when the rest of the world is sleeping. No wonder ⅔ of our texter volume happens at night. Our greatest need is during the hours of 10pm and 6am EST. Are you a night owl or early riser? Then this is the perfect opportunity for you! 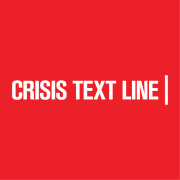 Crisis Text Line is an equal opportunity organization. We celebrate diversity and are committed to creating an inclusive environment for all employees and Crisis Counselors.